The English Premier League is underway once more, and along with it many of the best domestic soccer leagues around the world are starting up. With much of the world tuning in to EPL action and interest growing across the U.S., it’s an exciting time for soccer fans. It’s also a good excuse to break out some of the countless soccer video games that are out there online, in app markets and on video game shelves. So in celebration of the return of league soccer, here are 10 games to check out. FIFA 16 isn’t actually available to play yet, but EA Sports is accepting pre-orders, and the FIFA franchise is about as sure a thing as there is in the video game industry. 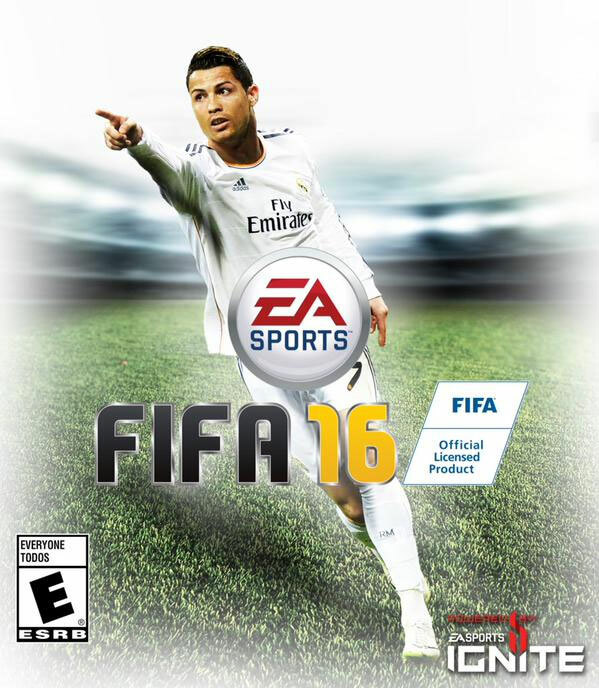 At this point players know the kind of sharp graphics, realistic gameplay, and range of playing options to expect, and FIFA 16 will offer it all with the most up-to-date roster and settings. It didn’t make our list of the best Xbox games for 2014, but FIFA 15 (which did come out in fall 2014) is about as good a sports game as there is on the market. 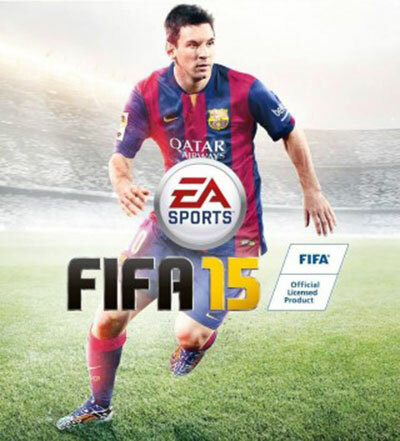 Everything mentioned regarding FIFA 16 stands, though the ’15 edition will soon be outdated. 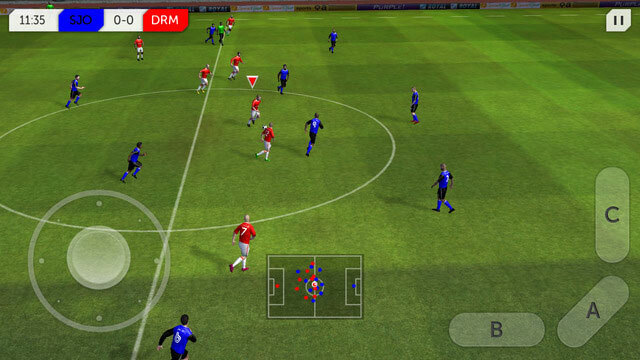 Developed by First Touch, an app game developer that focuses on soccer gaming, Dream League Soccer is a great chance to get a full team building experience. You can recruit, play in different leagues, enjoy online multiplayer through the iOS app market, and even construct your team’s stadium. One of the headlining games of Paste Magazine’s countdown of the best free-to-play soccer games, this is one I’d highly recommend for fans who are giddy with excitement about the return of domestic league soccer. 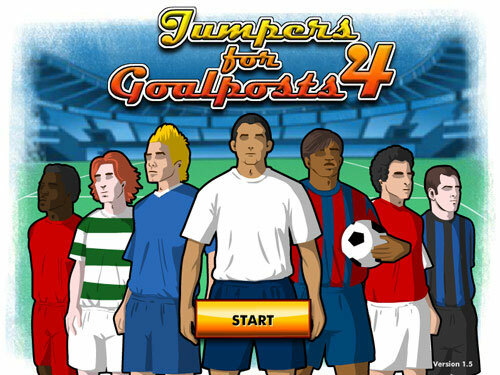 Jumpers For Goalposts 4 is basically a full-on career manager. You can train, manage a lifestyle, interact with your agent, improve, and progress through different leagues, all in an amusing and simple online arcade. It seems like zombie anything is popular these days. While this game is more in the vein of the cartoon stylings of the Plants vs. Zombies series than, say, Call Of Duty Zombies mode, it’s still an original and engaging way to enjoy an otherwise pretty basic soccer arcade. Essentially, you’re controlling players in an apocalypse-ridden stadium against a team of undead, and you can take them out en route to scoring your goals. This is another game from First Touch, and one that’s ideally suited to true soccer junkies. There’s actually not much of a typical gaming feel to it; rather, it’s a simulation of famous and impactful goals from actual soccer history all over the world. Each new level plops you into a scenario and challenges you to flawlessly recreate these real moments. Not a typical soccer video game by any means, Betfair Poker’s kickoff game is more of a contest of sorts. Essentially, the game is celebrating the return of league soccer by allowing players to enter arcade poker tournaments specifically geared toward soccer-related rewards (such as jerseys, free bets on matches, and even match tickets). It’s not a soccer game in itself, but it’s one of the best gaming options out there for soccer fans this season. 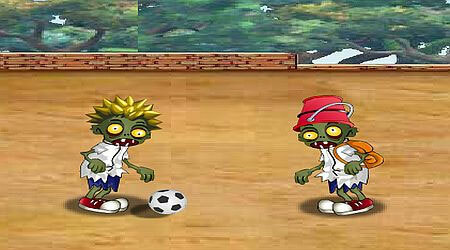 This is about as simple a soccer game as you can find, and yet there’s just something addictive and pleasant about it. 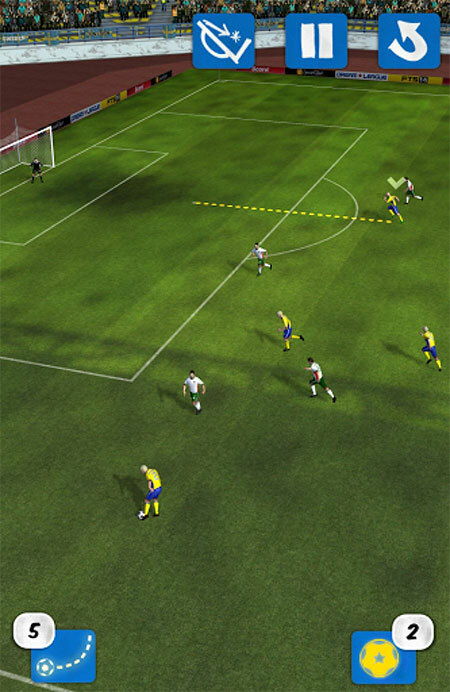 It’s an app game, developed by Fat Fish Games, and basically consists of finger-swiping action that lets you control strikers and defenders alike. 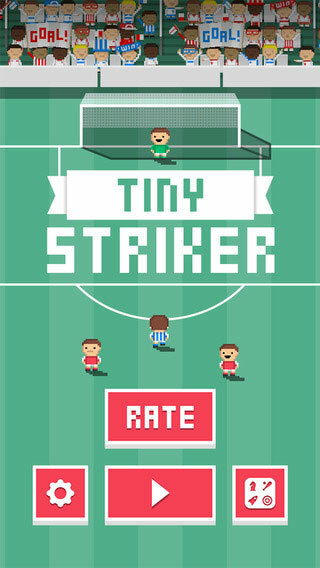 Pik Pok and Prodigy Design Limited’s Flick Kick Football series now includes a number of noteworthy apps, and if you like this one I’d recommend checking out the others as well. All of them involve ’70s soccer-inspired graphics that almost look like comic book pages, as well as swipe-and-flick action, and the gameplay is based largely on bending and curving shots to make sensational goals. But Kickoff is arguably the best version of the series given that it lets you practice this action in online multiplayer mode. I covered some FIFA games early in the list because they’re truly the pinnacle of soccer gaming, and are by far the most recognizable console games in the category. But it’s important to give PES 2015 its due as well. Once the series that competed hardest with FIFA, PES faded away for a while before emerging with some pretty powerful games in the past couple years. 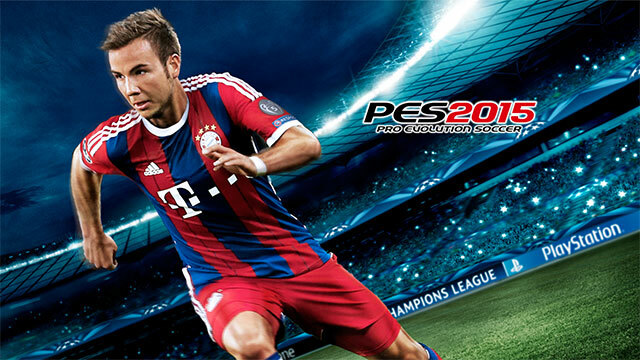 I’d still take FIFA, but PES 2015 is a genuine competitor for a full-scale console soccer game.